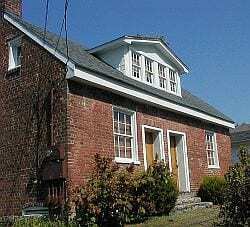 The James Preservation Trust soon will occupy the historic, 200 year old building built by Jonathon Nichols in Danville, Kentucky. The structure sits on the Wilderness Road, the entry road from the Cumberland Gap into central Kentucky, pioneered by Daniel Boone with his ax-man Johannes Vardeman. Vardeman is the father of Rev. Jeremiah Vardeman who married Betsy James, the daughter of John M. James & Clara Nall. John M. James himself rode this path repeatedly, bringing pioneers from Virginia and North Carolina to settlement in Kentucky. 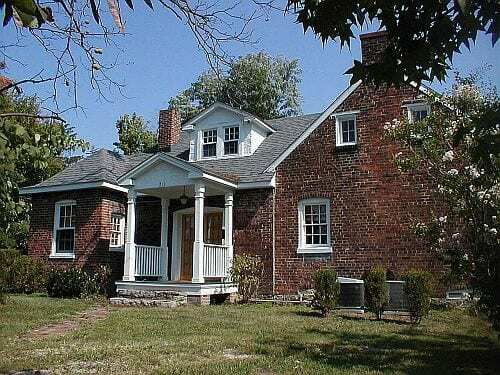 The structure was built originally in 1802 for Nichols & his hemp farm. Nichols purchased the land from Phillip Yeiser. The dual doors facing Wilderness Road entered Nichols’ one room office on the left & his one room & attic residence on the right. Sometime before 1816 Nichols added more spacious living space to his original structure. Subsequently, the main entrance to the home was shifted to the side facade. From this home, Nichols’ hemp farm extended along the streets of today’s Lexington & Broadway Avenues to Danville’s First Street. Constructing hemp rope requires a building as long as the rope being manufactured. It is believed an additional manufacturing structure occupied the property extending up to 400 feet in length. Today, the property’s original Lexington Avenue boundary is occupied by mansion style homes dating to the pre-Civil War era. Over time, the office-residence housed enslaved people. Joseph McAlister James, who left Pulaski County to settle in Danville, brought his enslaved with him. Prior to the Civil War, Mack set them free, establishing them in their own plantations off Clark’s Run nearby. 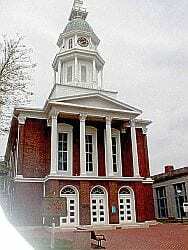 At the Boyle County Courthouse nearby, generations of Jonathon Nichols’ descendants have served as County Clerk & Recorder. Nichols family signatures have witnessed the deeds of Joseph McAlister James in the eighteenth century & deeds of Stray Leaves publisher Eric James in the twenty-first century. They also have witnessed the deeds of the Sallee & Samuels family descendants who also lived in Danville. Within walking distance of the JPT’s new home are many sites relevant to the James family. 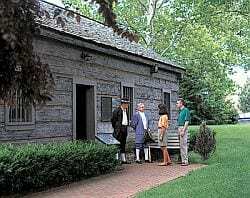 One can visit Constitution Square, where John M. James attended Judge Harris Innes in 1784, when Innes petitioned Virginia for the separation of the District of Kentucky to become its own Commonwealth. James Hotel, c. 1910. When the original wood structure burned in 1876, Joseph McAlister James rebuilt the hotel in brick. Off Fourth & Main Sts. in downtown Danville, is the site of James Hall, owned by Joseph McAlister James. James Hall was home for decades to Danville’s community & social events, politicking, Chautauqua presentations, & theatricals. 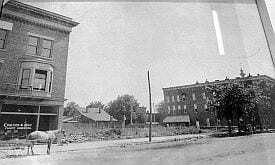 A block away, adjacent to the Court House built by Isaac Hite, is Weisiger Park, the former site of Mack James’ hotel, originally built by Jeremiah Clemens as the Black Horse Inn. Clemens was a relation of the author & humorist Samuel Clemens, aka Mark Twain. In this same area, William Clark Quantrill, Frank James, the Pences, & the Youngers invaded Kentucky after the end of the Civil War, on their mission to “meet” Abraham Lincoln in Washington. Frank James took the opportunity to acquire some new book while in town. Further down Main St. is the First Presbyterian Church & cemetery, where Mack James was its first cemetery sextant. Adjacent is Centre College where Crittendens & Youngers were schooled.